Last year Rochester's graffiti family lost one of its most talented, dedicated artists and dearest friends, and the scene hasn't been the same since. 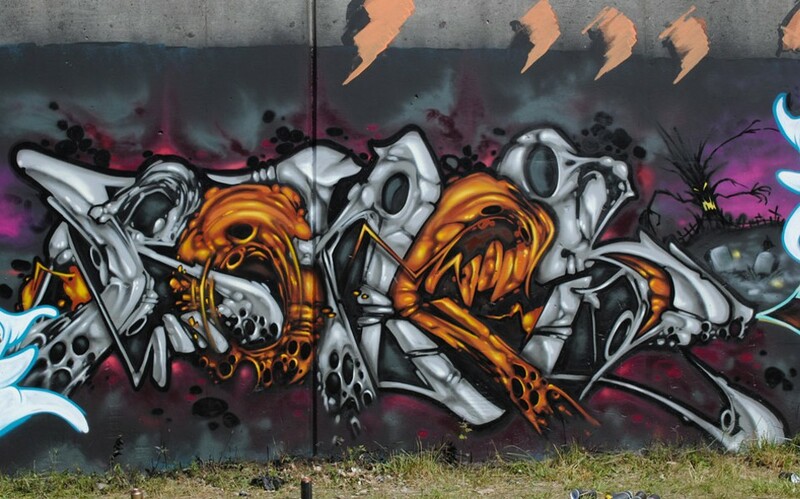 BONES, a member of the FUA Krew, was known for his insanely organic freestyle, often building gorgeously morbid letterforms by transforming spray paint into drippy gore. A one-night retrospective and celebration of the work of BONES will be held on Friday, June 2, from 7 p.m. to midnight, at Art Museum of Rochester (610 Monroe Avenue). The work is drawn from his family's private collection, and will include his sketches, photographs of his work on walls and freights, and never-before-seen artwork. The show also functions as a fundraiser for his wife and daughters. Fifty copies of the new retrospective book of BONES' work — with stories from graffiti writers, friends, and family — and a tribute T-shirt will be available for purchase at the show. For more information, call 615-9015 or visit artmuseumofrochester.com, or search "BONES retrospective" on Facebook.